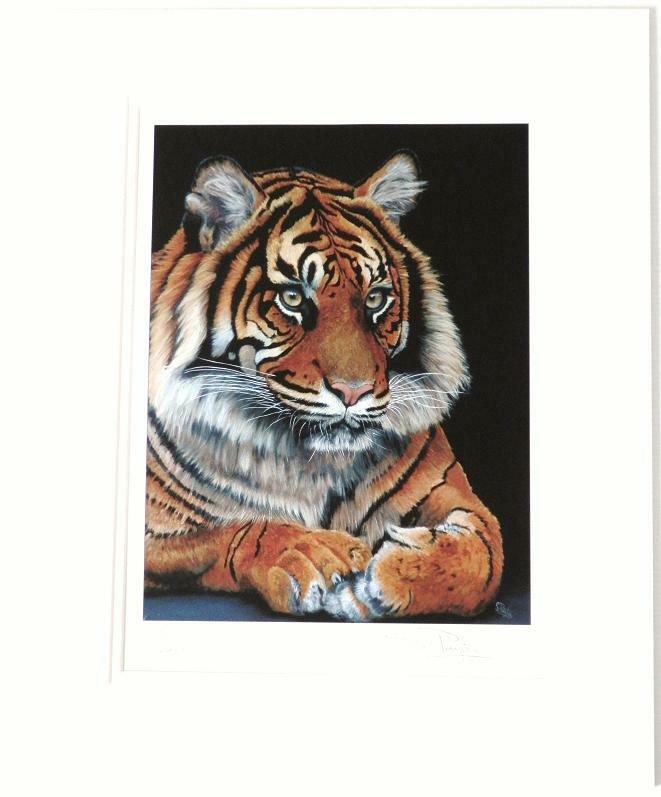 A limited edition print of an oil painting of a Sumatran tiger. This is a limited edition of only 30 prints. The print is mounted in a double white mount that will fit a 16" x 20" frame.